See our Buyer’s guide to vintage Fender amps for a guide and picture gallery of the known original speakers in the blackface and silverface amps. You may compare these with your own speakers to determine what you have. Speakers are like ice cream; we all have our favorite taste. Some like strawberry while others like chocolate. You need to experiment yourself and taste the hundreds of speaker flavors out there. It is interesting to hear other opinions but it can also be confusing since we lack a precise vocabulary to describe tone and taste. What someone finds harsh can be beautiful sparkle to others. Smooth overdriven tones can mean very different things for heavy metal guys with Marshall and Celestion stacks and country musicians playing twangy Twin Reverb amps. What is also interesting is that our own taste developes over time. After many years with vanilla ice cream, the taste of chocolate will be a tone explosion, not to mention a mix of the two. Variation is the key and therefore, my friend, you need several guitars, amps, pedals and different speakers. At fenderguru.com we prefer mostly the American type of speakers for vintage Fender amps. They have a balanced and transparent character. They work great with most music styles. The term “American” speakers is wide and not a very precise term. At fenderguru.com we use it to describe a “natural” tone, meaning a relatively flat frequency response. All speakers are different in frequency response, and the aging process of the magnet and cone will change a speaker’s tone. There are of course exceptions to our preference of American speakers. One exception is a heavily cranked amp with a bright single coil guitar. In this case we prefer darker sounding speakers than the typical American Jensen C12n-style of speaker. We want more bass and mids to smooth out the treble and high harmonic frequencies coming from the amp. A good example is a single coil Stratocaster played with mid pickups through a cranked blackface Bassman (AB165). The amp has a huge bottom end and a juicy and distorted Fender dual 6L6 push-pull (class AB) tone. Or a telecaster on bridge pickup through a heavily cranked Princeton Reverb. In such cases we tend to favor British voiced speakers to give us a throaty and meaty tone where the treble is tamed and compensated for. Such speakers may not be well suited for crystal clear and soft clean tones, but they match perfectly with our blackface AB165 Bassman with jumped channels and lots of preamp and power amp distortion. Modern speakers produced today have improved since the 60′s in terms of efficiency, robustness and clarity. Swapping speakers is the most effective change you possibly do to change the tone of your amp, and is also a recommended move to all vintage amp owners who plan to gig heavily with their amps. Keeping the original speakers intact is important for the amps’ second hand value. Players who gig with their amps regularly deserve new speakers and not 40 year old porous collector items that blow whenever you pluck your low E hard. 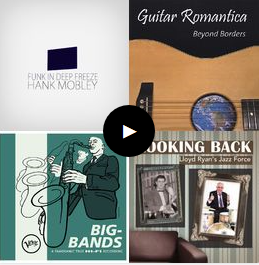 The speakers we review here are mostly conservative alternatives from a Fender perspective. We prefer speaker models who sound close to the originals that came in these amps. In some cases we want more power and headroom, particularly in small single speaker amps like the Princeton Reverb and the Deluxe Reverb who were poorly equipped from the Fender factory (it is a big shame that the Jensen C12n never was installed in the blackface Deluxe Reverb). In bigger, multiple speaker amps we often like speakers with lower power handling and less efficiency because the amps are more than loud enough and we want some tone out of them by turning the volume up (it’s all about playing in the sweet spot). We recommend to choose low power speakers rather than high power. A low power handling means a smaller and lighter magnet and voice coil, lighter cone, less doping, less vibration and movement and more stiffness overall. A low power speaker will have better transparency, efficiency, sustain and speaker weight. High power speakers are stiffer and require more power to vibrate and operate in its sweet spot. They sound great when they are fed high power, but very few of these speakers sound good with low wattage amps. The enormous 200w EVM12L is a peculiar exception to that rule, and its clean sound is great even at low volumes. A general recommendation is to stay as low as possible on the speaker power handling. A 40w Super Reverb will distribute 10w to each of the four speakers. 20w speakers will be safe here. What tone do you seek in your amp? Do you play extremly loud, pushing your amp? Those who play these Fender amps above 5-6 on the volume knob should consider the power rating of your speakers. Normally it requires much more than the max power rating to blow a speaker, but there are other side effects in pushing a speaker against its limit. You may experience cone breakup and buzz. Some speakers sound harsh in the top end and/or muddy in the low end. Some players like the character of a “tweed’ish” distortion with a farty low end. Others prefer a firm and clean attack in the low end, more in the style of the blackface amps. Do you want highly efficient and loud speakers to achieve maximum volume? Or is the amp loud enough and you want more breakup at lower volumes? You need consider the speaker’s sensitivity, or efficiency, for loudness and volume. With low efficiency speakers you’ll be able utilize more breakup from the amp (which is what it’s much about). Still many players think they need the maximum volume to impress band mates, friends or worst, yourself. Speakers with low wattage can be better for clean tones due to better transparency and touch sensitivity. At the same time as they can reveal too much of the harsh and overdriven tones. Players who play very loud well above the amp’s sweet spot, may find powerful speakers better suited because they smooth out the upper harmonic frequencies and provide enough lows and mids to compensate for the harsh and overdriven treble tones. They also handle well a hard pick attack and brutal string action. Do you have a bright guitar or effect pedals with high frequency fuzz? In that case you may want darker sounding speakers with a smooth tone, aka British-voiced speakers. Clean and distorted tones come out very differently in different speakers. Using a Ibanez tube screamer will, as everyone should know, eliminate the sparkle and highest frequencies. This pedal will sound good through bright speakers and a bright amp since these speakers will let all newances and bright details come through. A fuzzface may, in our humble opinion, not sound good through bright speakers since you’ll get too much of the pepper spray harshness of this fuzz. You have a hot, muddy and dark guitar signal and you want more clarity and brightness? The more brighter and direct character of American-style speakers might be what you want. What is your playing style? You have a hard pick attack or soft finger touch? If you play softly you will probably like all newances to come out from the speakers and you need low wattage and bright speakers that respond quickly and gives you all the details in the tone. If you play hard with thick strings in the style of Texas blues, you may like more powerful speakers that compresses the hard attack. A hard pick attack will also reveal some sharp treble tones when the string bounces back and possibly slams into the frets. Do you want a chunky thick tone or a snappy and firm response? 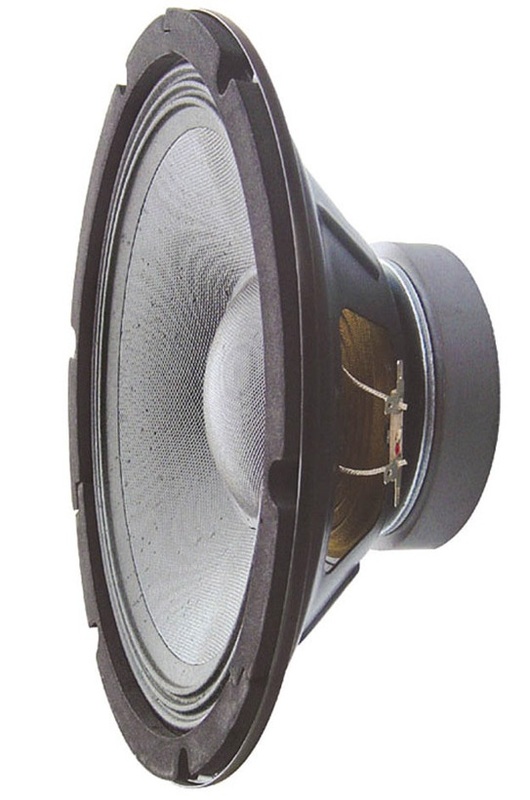 Vintage style speakers are fast and snappy and usually very good in multiple speaker cabinets (3-4 x10″). However, in single speaker cabinets they may get more power from the amp than they are able to handle. Modern, powerful speakers have a more clean bottom and can deliver a chunky tone alone or in pairs. Is weight an issue? Usually not in smaller amps and top+cabinet configurations. If we want lots of punch we could install heavy ceramic speakers and still be able to carry the amp and cabinet to most gigs. Are you planning to mix different speakers for a more complex tone and have more flexibility? Are you up to the task of micing two sources? If so, there are many good speaker blends to consider. The result can be amazing. The morale is that the selection of speakers is dependant of your guitar, amp and pedals. That’s why the extenion cabinets are practical. You may select speakers depending on which gear you’re playing. When discussing speakers with others tell them where you are at, what are you seeking, what do you want more or less of. Come up with actual references in terms of guitars, amps and actual songs that give people an idea of what tone you are seeking. If you are using your amp in many different environments we find it useful to install a mix of speakers that bring different qualities to the table. By enabling and rewiring the speakers one can quickly switch your tone depending on what the specific gig requires. Be careful that the speakers you mix are not too different in terms of efficiency, frequency response and sensitivity. If you pair a very bright speaker with a dark one, you will find that you have to EQ your amp to suit the brightest speakers. Then you won’t utilize the dark sounding speaker which will only be dull and dark. The same goes for efficiency. You won’t hear low efficient speakers if they’re combined with highly efficient ones. We’ve once paired Jensen P10r togther with Weber 10A150 with bad results. The 10A150 forced us to back down on the bass and volume since they have so much of it. The P10r then barely came through in the mix, and it delivered an unpleasant, sharp and thin tone. The P10r forced us to go down on treble and turn off the bright switch. This made the 10A150 dull sounding. We simply couldn’t find a sweet spot where all speakers were working together. Warehouse Veteran 10″. Light, snappy, warm tone, firm, they have the vintage appeal of upper mids and higs. Excellent replacements of the original CTS Alnico 10? that came originally in blackface Super Reverb, one of the absolute best speakers we’ve heard in SR. Lots of touch sensitivity and warmness. The speaker is designed so that the cone breaks up when pushed. Don’t be afraid of cone breakup before you’ve heard it. Fantastic, mellow and compressed. Excellent in 2-4 x10″ configurations. You will not find any better speaker below amazing 50$. Weber Signature series and Weber Chicago Vintage series contain both Alnico or Ceramic speakers that are excellent replacements of the original CTS Alnico 10″, CTS ceramic or Jensen C10r that came originally in blackface Super Reverbs. Beatiful upper mids. Snappy, firm, quick and funky lows. Works great in multiple speaker configurations where many speakers together provide enough punch. They can be slightly weak (depending very much on expectations) and do not provide a lot of bass in 1×10″ configurations, but for 4×10″ you will get touch sensitivity and sustain. Jensen C10n. The vintage Jensen C10n speakers from the 60′s are fantastic speakers in the Princeton Reverb. They are powerful and clean. They will perform great in a demanding 1×10″ environment. The speaker was unfortunately discontinued by Jensen. Jensen P10R. Beautiful Alnico compression. True vintage Fender sound. Distinct, clear and neutral. Bright, touch sensitive. Great in 4×10″ applications. Jensen P10Q. Much like the P10R, little more punch and darker sounding. Weber 10A125. Much like Jensen P10Q, with more bite and crunch. Firm low end and nicely balanced with mids and sparkling highs. Eminence Legend 1028K. Very popular modern replacements for the original CTS Alnicos. Bluesy and snappy. Eminence Copperhead. A very balanced and correct speaker offering both punch and warm sparkle. A good allround speaker from Eminence that has gotten nice review from many players. Eminence Legend 1058K. One of our favorite value for the money replacements in Princeton Reverbs 1×10″ or in Vibrolux 2×10″. Good for those who want a chunky and full tone with good mids and sparkle. Lots of low end. Warehouse G10C. Inspired by Jensen C10q. More efficient and louder than the WGS Veteran 10″ model. It has more punch, more sparkle and can take more power without farting out. Due to more sparkle a heavily cranked amp may come out harsher than the Veteran 10″. Weber 10A150. Loud and darker colored than the 10A125. Lot’s of punch and massive lows and mids. Very efficient in dB/W/m and heavy weight too. Will practically turn a 10″ Princeton into a loud Deluxe. The enormous punch and massive mids requires an EQ adjustment on the amp. 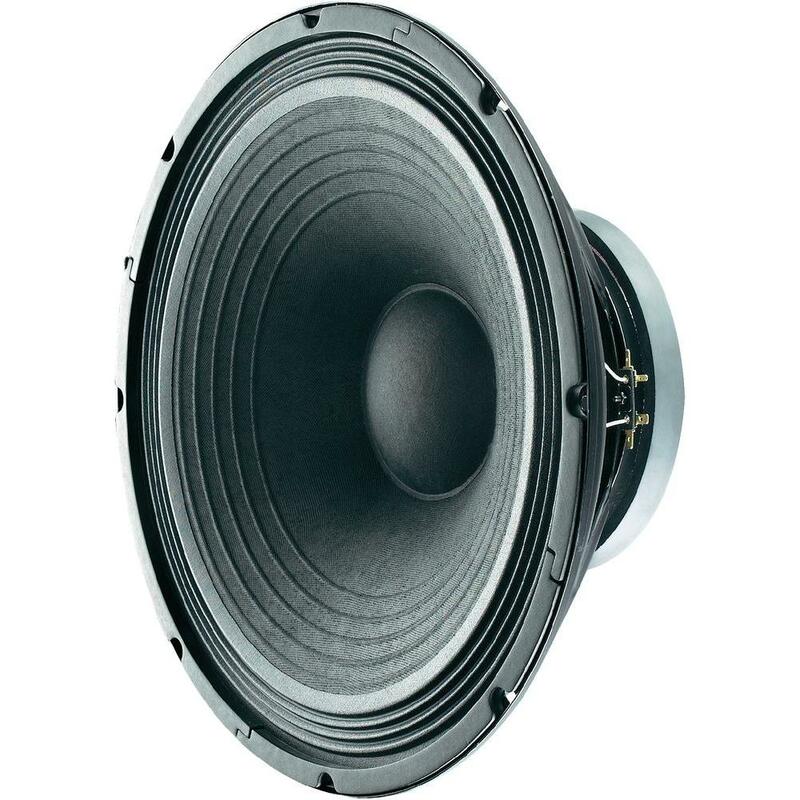 Massive alone and even better in combination with brighter speakers such as 10A125/10F125. Four such speakers in a Super Reverb is an unbelievable experience, but one will achieve a better overall balanced tone (and flexibility too) in combination with brighter speakers. Jensen Jet Tornado. 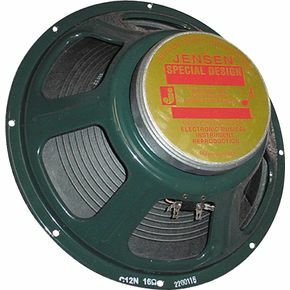 Our all-time favorite Jensen 10″ speaker where high power and efficiency is required, not to mention low weight. We use it in a Leslie/Vibratone cabinet where all of this is required. Nicely balanced tone with good sparkle and just the right amount of bass and mids. It sounds excellent on is own and is one of the best NeoDymium speakers we’ve tried. 100 watts will hold easily up in 1×10″ or 2×10″ applications. Try these in a 2×10″ Vibrolux and you’ll have a super gig amp. Vintage character, just more and better. Jensen C10r and C10q. The efficiency of a modern C10q will make your amp loud, and it offers lots of punch as well as chimey highs. Good replacements for the ceramic 10″s in many blackface amps. Bright and also gritty when pushed. Weber 10F125/10F150. Powerful ceramic speaker, bright and powerful with lots of headroom. Recommended in a combination with two alnicos such as the 10A125. Warehouse G12C. One of our top recommendations for the Deluxe Reverb if you’re seeking the real vintage Fender vibe with the older 60′s Jensen C12n but with modern efficiency, punch and performance. The Jensen C12n came in blackface Pro Reverbs and Twin Reverbs, among others. Unfortunately was the C12n never installed in the Deluxe Reverb, which is a pity since it is fantastic in a 1×12″ application. A deep, lush and full tone with lots of warmness, touch sensitivity and sustain. Excellent for a clean, quacky stratocaster played at neck pickup. The Warehouse G12C is warmer and deeper than the newer Jensen C12n, and with a more open character. It is also more sparkling than older C12n models. The G12c is highly recommended in both Princeton Reverb and Deluxe Reverb if you want to aim for a superb clean tone rather than a heavily cranked tone. In the Deluxe Reverb, you might want to consider the bright cap mod with this speaker, since it can be quite sharp and trebly, particularly when distorted. The G12C/s is a little smoother and easier to get along with when the bright switch is on. We believe the WGS G12C/s is one of the most versatile speakers out there. Just perfect in 1 or 2×12″ solutions. Warehouse Veteran 30. Slightly darker and bolder than the G12C. Great complexity in tone. Handles break up and distortion nicely. Eminence Maverick and Reignmaker. The new speakers from Eminence with 9dB attenuation is a ground breaking development in speakers. Not only do they sound excellent at full output, they also give you a attenuated and tamed tone when turning the wheel on the back of the speaker. Great for practice and home playing. The Reignmaker belongs to the british RedCoat series, while Maverick belongs the American Patriot series. Jensen C12N. The classic Fender signature tone. Powerful, full tone, efficient. Has everything. Note that the newer are brighter and more efficient than the vintage (60?s) Jensen C12n. It is said: “If an alien came to earth and wanted to hear an American guitar sound, I’d play him my Twin with a set of Jensen C12N”. This speaker is used in newer Deluxe Reverb reissues (the 100W model) and it has lots of punch and sparkling highs. Quite bright. If you can track down a vintage model from the 60′s, you’re a lucky man. Jensen P12Q. Beautiful Alnico compression. True vintage Fender sound combined with with modern efficiency, sparkle and some punch. Jensen NEO 12?. Warm, very light, powerful, loud and very efficient. Modern rock expression that handles a tube distorted amp well. Weber 12A125. Much like Jensen P12Q, we like it even better. Great vintage vibe. Very balnaced. Weber 12F125/150. Ceramic. Weber’s equivalent to the C12n. Louder, harder and with a metallic crunch when the amp is really cranked. A good choice in a Deluxe Reverb with bright cap either off or on. The 12F150 is fuller, warmer and thicker than the 12F125.Weber 12A150. Darker than the 12A125. Lot’s of punch with crunchy, lower mids and bass. One of the coolest speakers we’ve ever played, but you have got to like the color of this sound. Weber California 12″. Huge power. Dark and colored tone, not as loud as the 10A150. Handles distortion well. Be careful that it will fit under your OT. JBL d120f. One of the most sought after 12″ speakers in the 60s. Loud, full tone with both punch and sparkle, extremly clean, no cone breakup. Not in production anymore. EVM 12L. Full tone with lots of low punch and sparkle. Will make your Fender amp more Dumble-like, with liquid and rich tones. The tone comes out very clean in distorted amps with this speaker. Heavy weight and big tone, it reminds us of the JBL d120f. Extreme headroom for playing in SRV land. Still in production as the EVM 12L Classic model. “King” of 12″ speakers. Celestion G12 Century Vintage. A light weight and very powerful Neodymium speaker that performs acoustically very well in the Deluxe Reverb sized cabinets. It has lots of headroom and balances treble, mids and bass beautifully. Eminence Swamp Thang. Huge sounding speaker, very efficient and lots of punch and sparkle. Good full tone. We’ve used it with big success in Deluxe Reverbs for big punchy tone with great sparkle. It feels much like the EVM 12L. Eminence Black Mountain, Red, White and Blues, Eminence Legend 1258. Great Vintage character speakers from Eminence. A 6L6 Deluxe Reverb with an EVM12L speaker. Eminence legend 1518. Loud and efficient. Big punchy sound with a full tone character. Good speaker for the blackface quack and sparkle. Good “American” sound and not too bright. Louder, more efficient and has stronger mids than the Jensen C15n. One of our absolute favorites in the Vibroverb and extension cabinets for many 4 and 8 ohm amps. Jensen C15n or P15N. Beautiful Alnico compression in the P15n, and more punch in the C12n. True vintage Fender sound. Can’t go wrong with this one if you’re into an American tone. Less efficient in dB/W/m than the Eminence Legend 1518. Eminence Big Ben. The British brother to the Legend 1518. Big, loud, efficient and punchy, like the brother. It is softer and more mellow in the higher frequencies and will tame a bright amp and guitar. Weber California 15. Weber was inspired by the JBLd130f in this speaker. It also reminds us of the Eminence Big Ben in breakup character and tonal character. 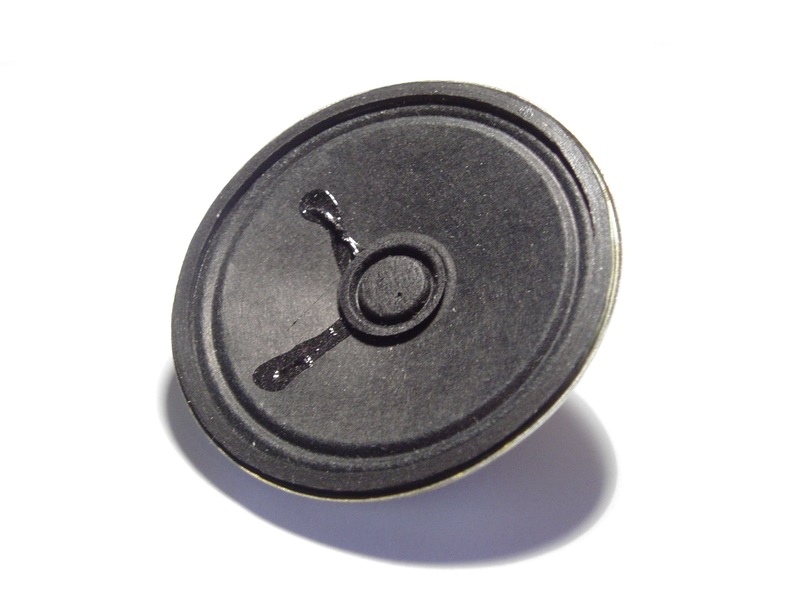 Be aware that a metal dust cap will make the speaker very sharp and trebly which can be rough and harsh in distorted amps (slide players might find the metal dust cap nice). JBL d130f. One of the most famous vintage speakers. Full tone, loud, scooped with lots of highs and lows and less mids. Absolutely legendary for clean tones but more difficult for cranked fuzz tones. It will require much EQ and pedal experimenting to get this aluminum dust cap speaker to sound nice with overdriven tones. EVM 15L. Stevie had this speaker in all his Vibroverbs. Need we say more. Not in production any more. It offers a scooped tone like the JBLd130f. Heavy duty, high power. All blackface and silverface amps can be used together with extension cabinets using the external speaker output. The point with extension cabinets is to get a bigger and wider stage sound, but not necessarily louder. One can also blend different flavors of speakers for a more complex sound. But then comes the question of which speakers to mike which too often complicates the idea of a simple and failure-proof setup. Most often we use extension cabinets at big stages or at unmiked gigs to fill the room better without playing so terribly loud. Sometimes we use extension cabinets as monitors for the band which is very practical at out-door gigs where the sound is very little reflected. You may point the extra set of speakers against the drummer and bass player. The common rule of thumb with speaker impedances in Fender amps is that the output transformer handles a impedance variation of +100% and -50%. This is a safe operating level where your amp doesn’t suffer. Example: An amp with a 4 ohm output impedance may handle a speaker load between 8 and 2 ohms with either removal or supplement of speakers. Let’s study the impedances of different amps and see what speaker cabinets that goes along (blackface amps, if not mentioned explicitly otherwise). If not specified, you may assume 8 ohm speaker impedance in these examples. All speakers are wired in parallell. 8 ohm amps: Princeton 1×10″, Princeton Reverb 1×10″, Deluxe 1×12″, Deluxe Reverb 1×12″, Showman 1×12″, Pro 1×15″, Vibroverb 1×15″. These may be extended with 8 ohms or more (i.e. 16 ohm) to stay under a total load of 4 ohms. A good extension cabinet is 1×12″ or 1×15″ at 8 ohms since the power will be evenly distributed between the two speakers. 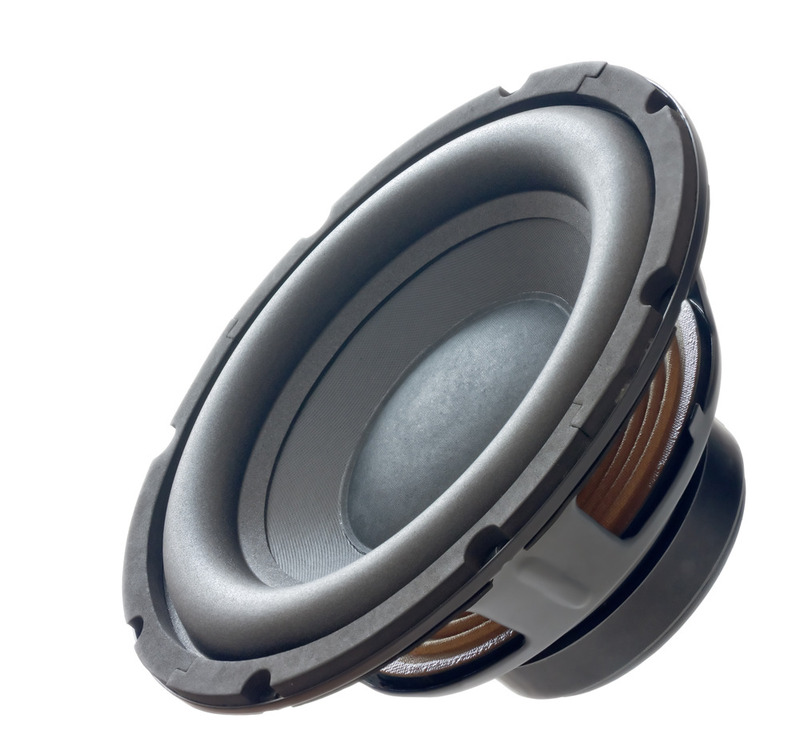 Hooking up one 16 ohm speaker will result in the power being distributed twice as much to the in-built speaker. Also, if you hook up a 2×12″ cabinet with 16 ohm speakers, the inbuilt speaker will get twice as much as each of the other two speakers. We’re not saying this is wrong or undesirable, just that the power will be distributed unevenly between each speaker. This may introduce a bottleneck at one of the speakers while the other are not being pushed at all. 4 ohm amps: Champ 1×8″, Vibro Champ 1×8″, Vibrolux Reverb 2×10″, Tremolux 2×12″, Pro Reverb 2×12″, Twin Reverb 2×12″, Bandmaster 2×12″, Bassman 2×12″. According to the rule of thumb these amps handle a speaker load between 2 and 8 ohms. The 4 ohm amps are flexible and supports a lot of extension cabinet applications. A single speaker extension cabinet at 8 ohm will, together with the 4 ohm speaker load, result in 2.67 ohms. Two speaker extension will give you a 2 ohm total speaker impedance. In both cases the power is distributed evenly between all speakers as long as they are 8 ohm each and wired in parallel (which we personally always do). Good extension cabinets with the amps above are 1×12″, 1×15″, 2×10″ or 2×12″. In any single speaker extension cabinet we recommend highly efficient speakers since we want that extra speaker to be heard along with the two unbuilt speakers. It is one against two. 2 ohm amps: Super Reverb 4×10″, Concert 4×10″, Vibro-King 3×10″ (1994, ->). Good cabinets are 1×12″, 2×10″, 2×12″ or maybe 4×10″ just to show them who’s their daddy. Personally we don’t prefer hooking up a 15″ speaker with inbuilt 10″ speakers unless the 10″ speaker is big and efficient. The 15″ speaker deserves more power than a 10″ and since the power gets evenly distributed between 8 ohm speakers in parallell. In our opinion the best choice is a 2×12″ extension cabinet since you will achieve both the characteristics of ten and twelve inch speakers. You may also choose to disengage two of the speakers in your Super Reverb to distribute more power to the 2×12″ extension cabinet.